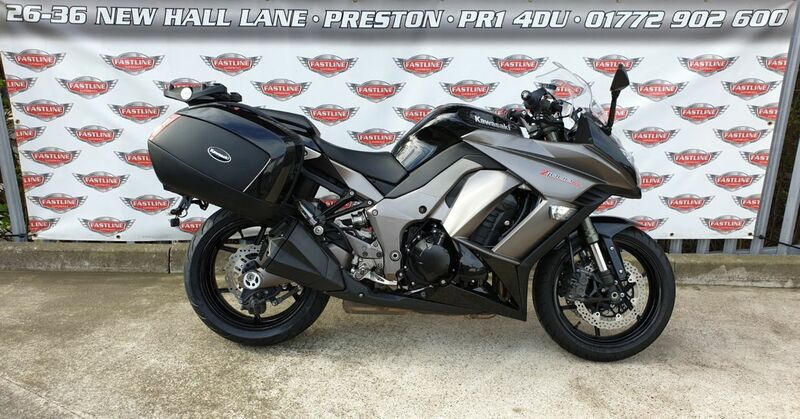 Fastline Superbikes are pleased to offer this excellent sports tourer, with luggage, Kawasaki Z1000SX, 2013 model. UK supplied machine with 2 keys, all handbooks and service history. A low mileage bike which has just been serviced and a new rear tyre fitted. Very comfortable, powerful in-line 4 cylinder with great aero dynamics. Mature owned who has upgraded to same model brand new. Will come serviced, 12 mths MOT, 3 mths warranty and fully gone through by our factory trained technicians. Buy with confidence from family run business since 1988. Finance and worldwide delivery on all our motorcycles, call for quote.